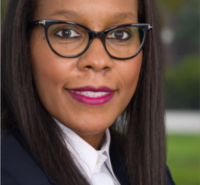 Dr. C. Ellen Washington was recently hired ss a Core Faculty member in the online BA Psychology Program at The Chicago School of Professional Psychology. Previously, Dr. Washington was the Director of STEM Continuing Education at Fielding Graduate University in Santa Barbara, CA. Before joining Fielding, Dr. Washington was the Assistant Director of Leadership Development and Scholar-in-Residence at North Carolina State University in Raleigh, NC. Her foundation for leadership in higher education was from her seven years as Chair of the Department of Psychology and Chair of the IRB Committee at Saint Augustine's University in Raleigh, NC. Most recently she completed the African American Board Leadership Institute. She is a graduate of the OURS Fellowship Program at the Chicago School of Professional Psychology where she earned a Post Doc Certificate in Academic Leadership. Dr. Washington offers significant experience in academic leadership, women in leadership, higher educational learning models, strategic planning, and organizational development. Her current research interests are leadership development for minorities in STEM and organizational change. She is also an avid proponent for diversity in the workplace, and leadership and social competencies. Dr. Washington has published articles in the Oxford University Public Policy Journal and the International Journal of Business and Social Science. She presented this work at Oxford University Roundtable in 2010 and the London's Women's Leadership Symposium in 2012 in the UK. She is currently working to develop her dissertation into a toolkit for mentoring minority women in the academy. Dr. Washington is a graduate of Leadership Raleigh and Emerging Leaders both which are directed by the Greater Raleigh Chamber of Commerce. She is a current participant in Leadership Triangle Emerging Leaders Program. She is earned her PhD in Industrial Organizational Psychology (Minnesota), M.A. in Counseling Psychology (Georgia School of Professional Psychology) and B.A. in Psychology (University of Arkansas). Engerman, K., Luster-Teasley, S., Bolden-Tiler, O. & Washington, C.E. (2017). Women Called to Lead. Santa Barbara, CA: Fielding Graduate Press. Barker, M. & Washington, C. E. (In P). Double Consciousness: Exploring Black and Doctoral Student Identity within Cross-Race Advising Relationships.. In : .